Top Ten Air Purifiers, Which is the best? We are often what our top ten air purifiers are. It is hard to come up with a definitive list, because each person has different things they are looking for. Many different factors, such as cost, features, and type of filter, can affect how valuable each person finds each air purifier. We compiled out list of tht top ten air purifiers based on our own objective reviews. As a part of our analysis, we consulted with many key websites. 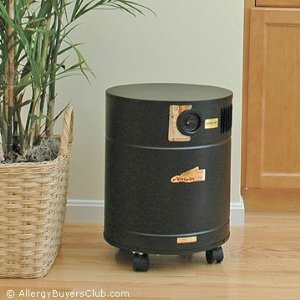 Some of these, but by all means not all, are air-purifiers-america.com, achooallergy.com, allergysbuyersclub.com, epinions.com, and amazon.com. We based our air purifier rankings on price, value, brand dependability, ease of use, and customer feedback. So without futher ado here is our Top Ten Air Purifier list. The IQAir Healthpro Plus is one of the more expensive air purifiers on the market today. It offers filtration far above most other air purifiers. It can remove particles as small as 0.003 microns with 99.95% efficiency. It is great for allergy and asthma sufferers. 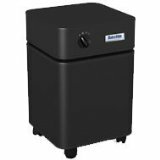 It's combination HEPA and activated carbon filters work overtime helping clean your air. They removes dust, dander, pollen, and mold spores. They can also remove odors and chemicals. Blueair air purifiers are some of the most energy efficient air purifiers. They will save you money on your electric bill. They work great for allergy sufferers removing particles and allergens from the air. Blueair uses what it calls HEPAsilent technology in their air cleaners. 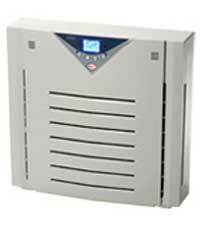 This combines a HEPA filter with an ionizer to do a fantastic job filtering the air and running quietly. This is one of the few ionizers we recommend. The Austin Air Healthmate is a great air purifier. It has a HEPA filter and 15 pounds of activated carbon. It does a great job removing air pollution, both particles and gasses. The filter can last 5 years before you have to replace it. In fact, the filters have a 5 year warranty. (The only one we know about.) This is a heavy purifier weighing about 45 pounds so it isn't that portable. The Alen Air A375UV uses several different filtering technologies. It has a HEPA filter, an activated carbon filter, UV lights, and photocatalytic oxidation. It also has dust sensors to automatic sense when the air is dirtier. A remote controlin included, meaning you don't have to get out of bed to change the settings. It can be mounted on the wall to save floor space. It has a liftime warranty. If it ever breaks, Alan will fix it for free. 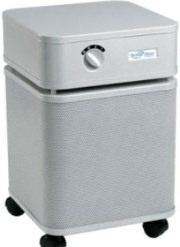 AllerAir makes good air purifiers. We like the 5000 EXEC. It uses a HEPA filter, actviated carbon, and microbial filters. It is great for anyone with allegies. It removes dust, dander, pollen, mold spores, odors, and VOCs. This is a great all around purifier. It uses 18 pounds of carbon so these are not light machines. They come with wheels but it will not be easy to get them up the stairs. One drawback with this air cleaner is the noise. It is a little noisy and might keep some people from sleeping. This is the second unit from Austin in our top ten air purifiers. The Pet Machine is specially designed for people with pets. It has a HEPA filter to remove particles and regular pollutants from the air. It provide the same quality as the Austin Air Healthmate. It has 15 pounds of a carbon blend that is specially designed to remove stubborn pet odors. While this is advertised for pet owners, it will also work well for anyone wanting to remove odors. The IQAir Healthpro Compact uses a HEPA filter that can filter out particles as small as 0.003 microns with a 99.95% efficiency. It does the same job as the IQAir Healthpro. It is just a smaller machine. That makes it perfect for anyone who lives is a smaller house or apartment. The filters are long lasting. Expect the filter to last 2 - 4 years. The Honeywell 50250 does a good job. It is a durable machine that should last a long time. It provides good filtration using a true HEPA filter. It is easy to maintain. 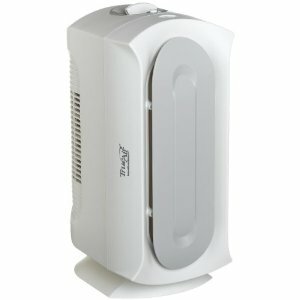 It works well for an air purifier under $200. The biggest problem we have seen with this air cleaner is the noise level. It is difficult to sleep at night using this machine. The Alen Air Paralda is another great purfier. It works hard to filter the air. It uses a HEPA filter to remove particles and UV lights to sterilize the air. The filters and lights are super easy to change. This purifier is low maintenance. We also liked the design. Many purifiers are boring and dull. This one makes an attempt to be more stylish. As all Alen purifiers, this one also comes with a lifetime warranty. Everyone is always looking for a cheap alternative. Well this is it. The Hamilton Beach 04383 is a decent HEPA air purifier for less than $100. It has manual controls. There is nothing fancy about this machine and it is not going to work as well as the others on this list. However, it still does a pretty good job of cleaning the air. At the price it is good for college students, too. This is the reason it made our top ten air purifiers. Our top ten air purifiers are based on machines we have either reviewed already or are working on now. Bookmark this page and check back to see any changes. As new models are released and new machines are created, it is possible that our top ten air purifiers might change. If you have an air purifier you think we should consider including in our top ten air purifiers list, drop us a line and tell us about it. 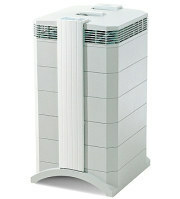 Leave Top Ten Air Purifiers and Return to All About Air Purifiers Home Page.